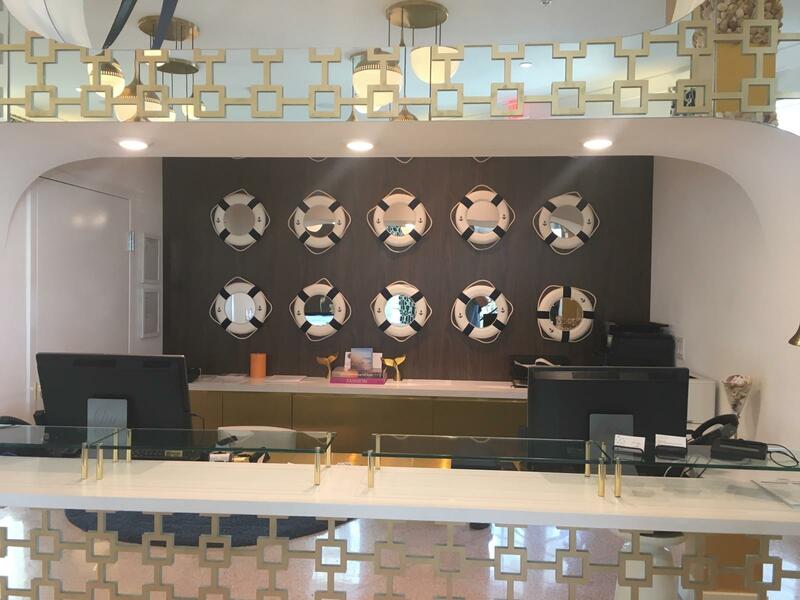 Stonewood Architectural Interior Panels were installed in the renovation of the Oceanside Hotel in Miami Beach, FL. 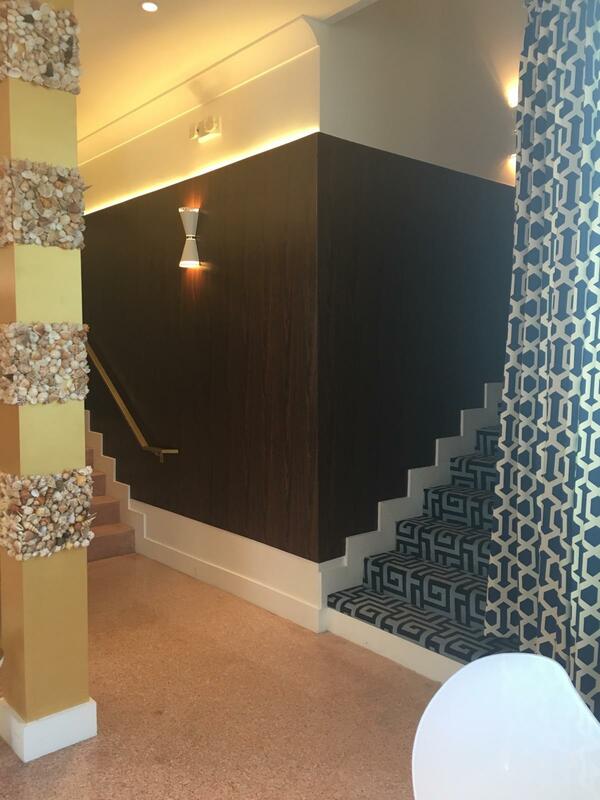 Walnut Woodgrain Panels were chosen to create a modern appeal for this cozy historic 2-story boutique hotel. 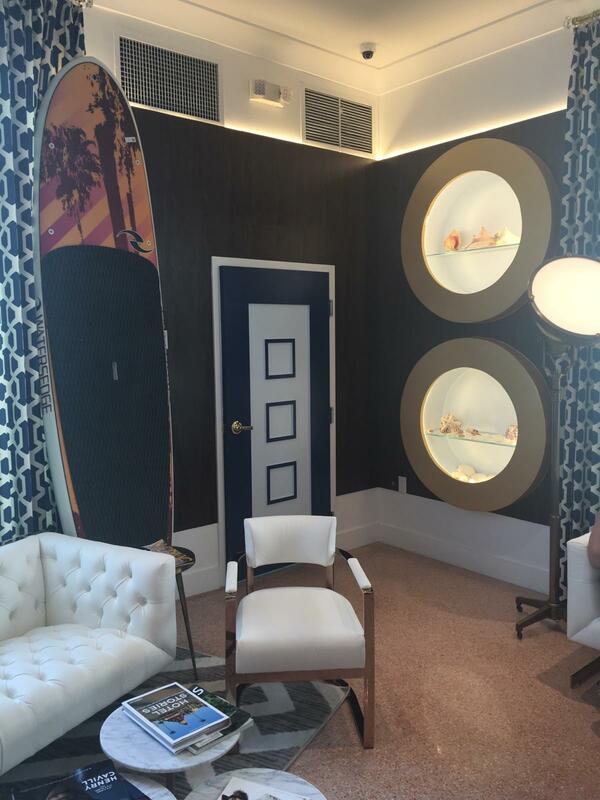 Offering excellent durability and moisture resistance, Stonewood Panels can be shaped, cut, drilled, routed, tapped, or sanded to hold specialty hardware with outstanding screw retention. Sizes 3/16" 48" x 96"